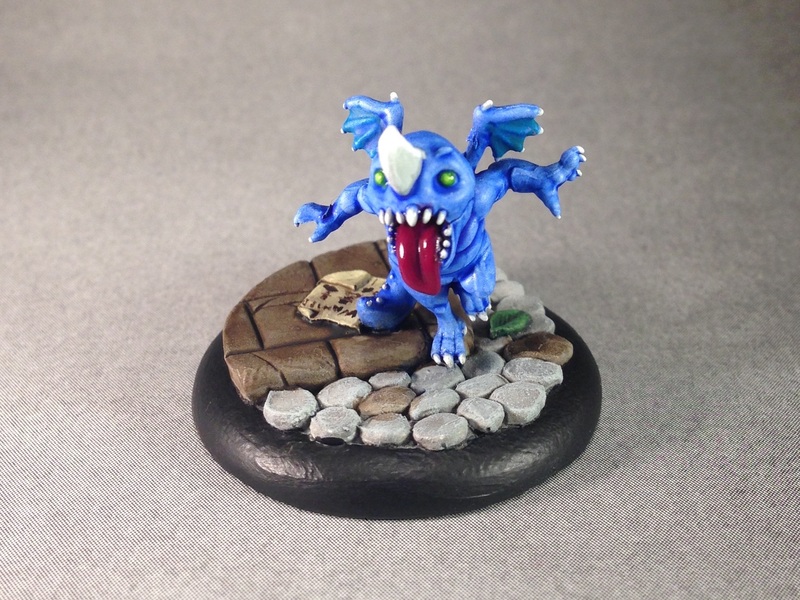 This is the Doppleganger from the Neverborn faction in Malifaux. Dopplegangers are basically shapeshifting entities which take on the appearance of a particular human, stalk them until they can perfectly mimic their behavior, and then kill them so that they may take over their life. Obviously this model is posed mid-transformation. 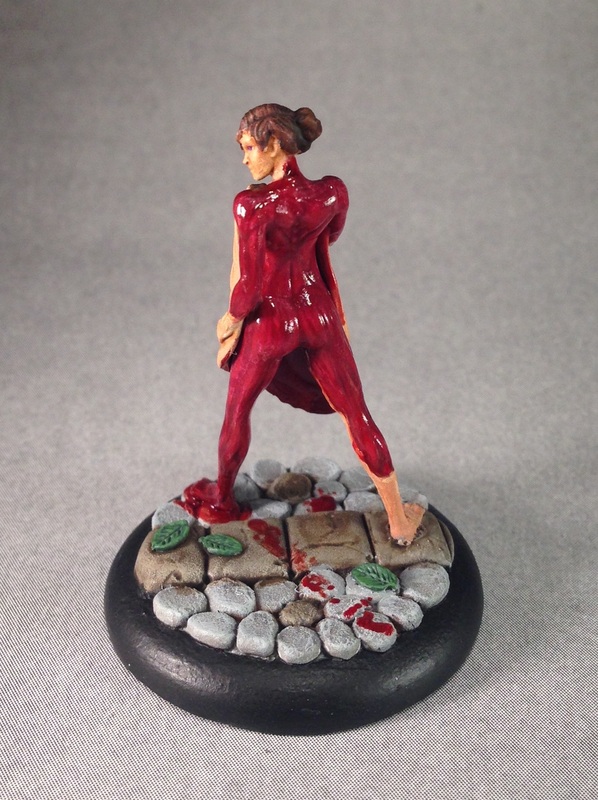 I love the half-flayed look of this model and had a fun time painting her. Dopplegangers also work really great in most any Neverborn crew, so that’s a handy bonus to a cool looking model. 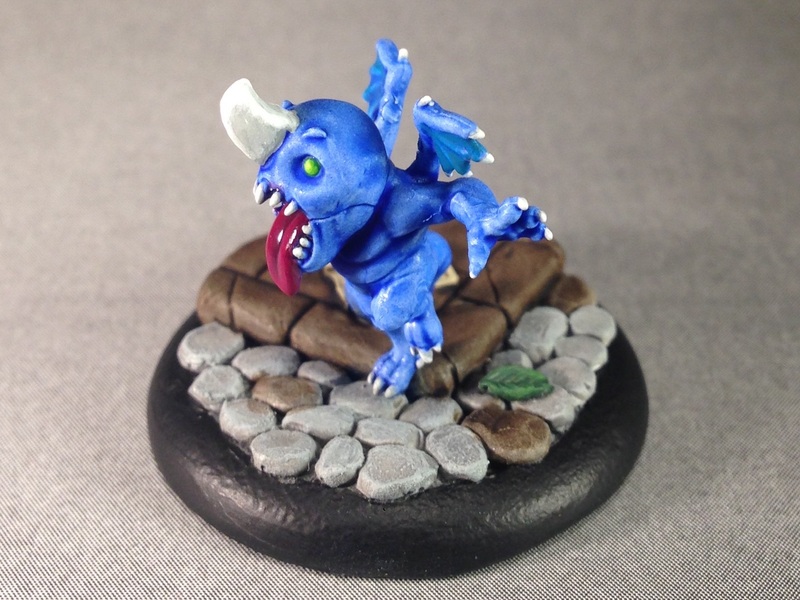 I’m still working on getting a fully painted Dreamer crew to the table and this adorable little guy is the next piece to add to that crew. This is the second Daydream I have painted up for my Dreamer crew. 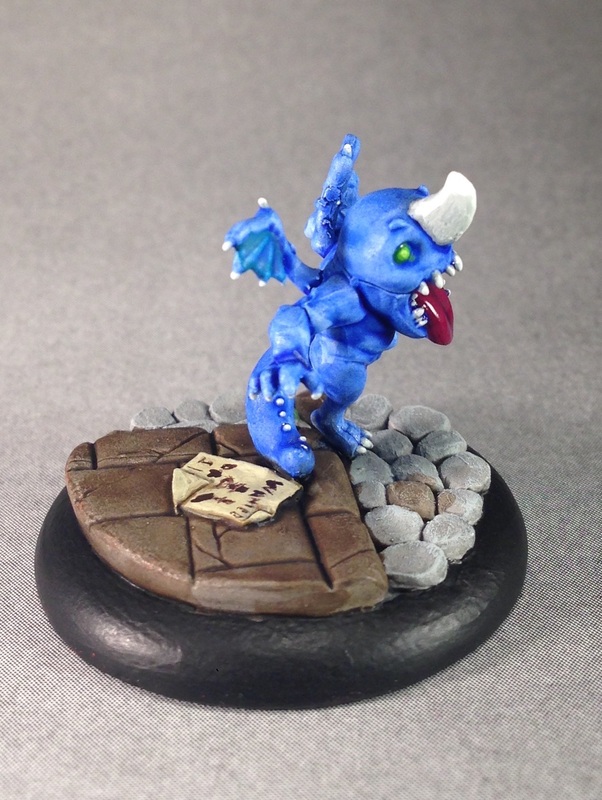 I will be finishing up my first round entry for Iron Painter this weekend, so keep an eye out for that. It’s due Monday, so we are coming down to the wire on that. I have also been working on finishing off the last bits of my Dreamer crew so hopefully I’ll be able to put those all together soon. My birthday is coming up next week, so hopefully I will soon have more models in my possession to paint up (not that I don’t have enough works in progress already…). The big news is that I am finally taking the plunge and getting an airbrush; details to follow soon on exactly what kind of airbrush I am getting (I found a great post on another blog that really helped in this process, so I’ll share that soon). 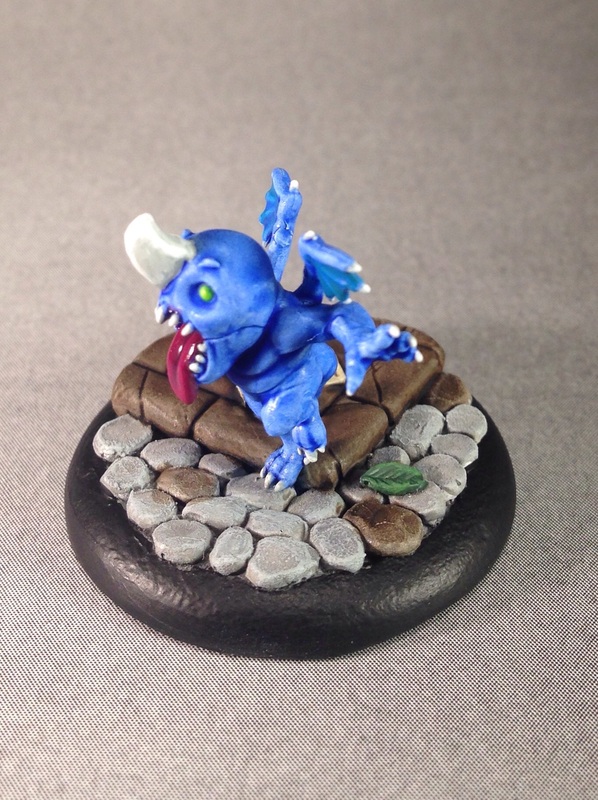 I will do a few posts on my beginning adventures with the airbrush. 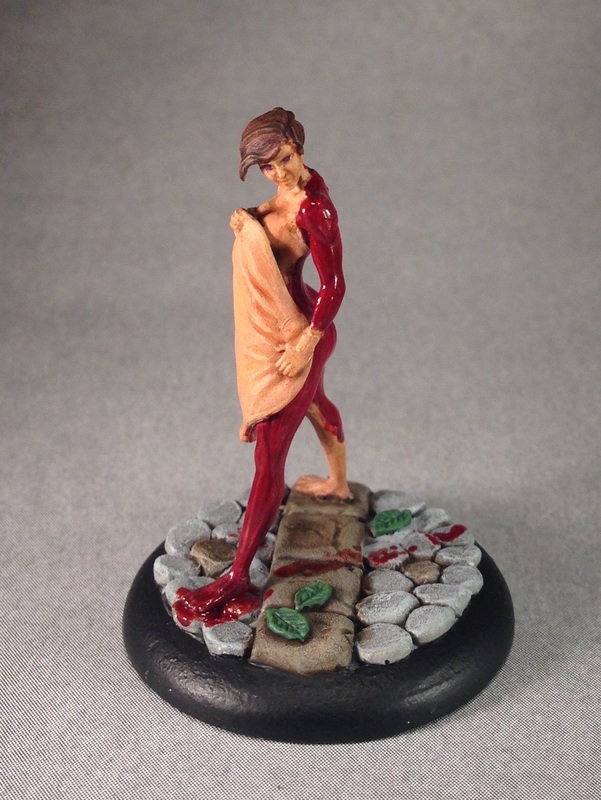 To get the flayed muscle shiny I used a coat of the GW gloss varnish ‘Ardcoat after I finished painting everything. 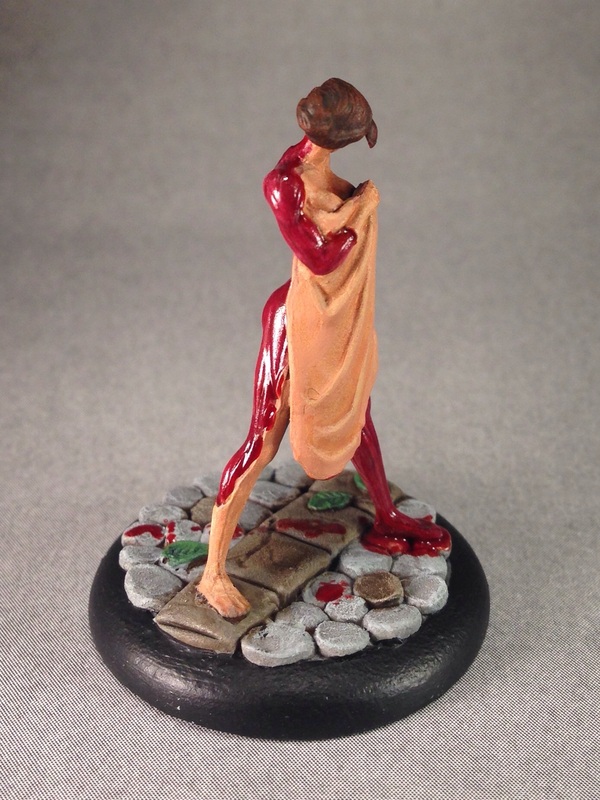 Around the edges of the flayed area I used a little Blood for the Blood God, which I also used for the blood trail. This model and the concept of the Dreamer are what really got me going on Neverborn. Glad you like it!